Let me bring you up to speed: although your vehicle’s ability to transport you from place to place is its most essential function, the fact that its brakes can stop you at a moment’s notice is a far more critical feature. Whether you need to have your brakes inspected, repaired, or even replaced, call Seeburg Service Center to get started. Seeburg Service Center can provide brake repair services on all makes and models of vehicles. Our competent team of ASE-certified technicians uses high-tech equipment to ensure that your brake system will be properly cared for and serviced. Whether you’re driving around town or across the country, we invite you to stop by for a free inspection of your brake system and brake fluid so that you can be sure your vehicle is safe to operate. 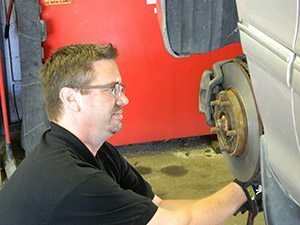 Our experienced technicians will examine all of the major components of your brake system—pads and shoes, rotors, calipers, and hardware—and we will clearly explain any needed services. In addition, we will always provide you with a written estimate for your approval before any work is completed. Most automotive experts agree that you should have your vehicle’s brakes inspected every year or every 12,000 miles. The mechanic should inspect all of the key components of your brake system, especially the linings, pads, shoes, drums, and rotors, and provide you with an evaluation of the system’s current condition. Based on this inspection, your mechanic may recommend repairs or replacements to improve and maintain your vehicle’s performance. Have you had a professional inspect your brake fluid lately? Let our experienced technicians check your brake fluid before you travel so that you stay safe while you’re on the road. We will assess the current condition of your brake fluid and, if necessary, replace the old product with new brake fluid that either meets or surpasses the manufacturer’s recommendations. If your vehicle is in need of a brake repair or inspection, please give Seeburg Service Center a call. Independently owned and operated, we have four locations for your convenience: Springfield (MO), Rogers (AR), Springdale (AR), and Fayetteville (AR). Our ASE-certified mechanics specialize in brake repairs, so you will feel confident leaving your car in our hands. 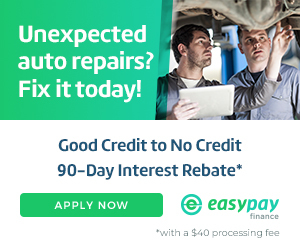 Schedule a repair or a complimentary brake inspection with us today.